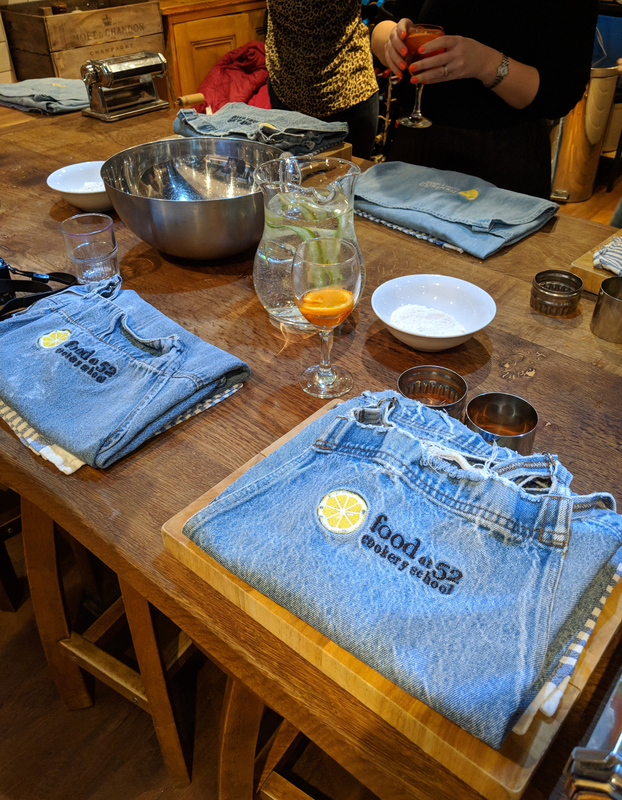 A couple of weeks ago, I had the pleasure of attending an Italian cookery event with Marks & Spencer at Food at 52 Cookery School, near Old Street East London. 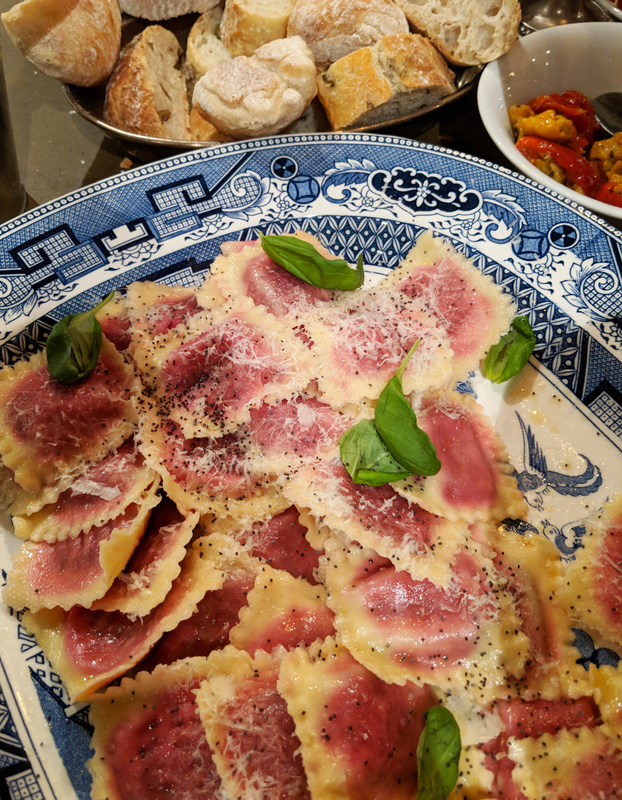 Led by M&S Development Chef, Jon Jones, we made Spinach & Ricotta Ravioli, Spicy Nduja Tortellini and Pappardelle, which Jon cooked with truffle, mushrooms and parmesan. 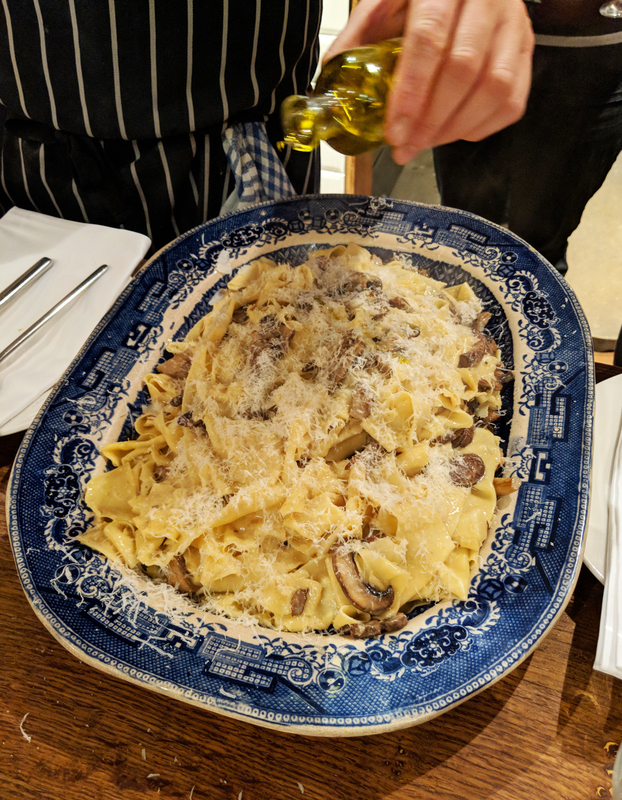 Having attended a number of cookery classes, but never a pasta making class, I was excited to (finally) learn how to make one of my favourite foods. Jon was incredibly attentive and took us back to basics, showing us how to form a well in the flour for the eggs, and using just his fingertips, slowly pulling the mixture together to form a dough. Using a traditional hand pasta maker, we set about rolling our pasta out, on the highest setting first, folding the pasta to get straight edges, and working our way up to the finest setting, to produce beautifully thin pasta, which we could just see our fingers through. To make the pappardelle, we rolled the long sheet of pasta from each end until it met in the middle. We then cut the two rolls into four, tucked the knife underneath the middle and pulled upwards so that the four rolls spiralled downwards. 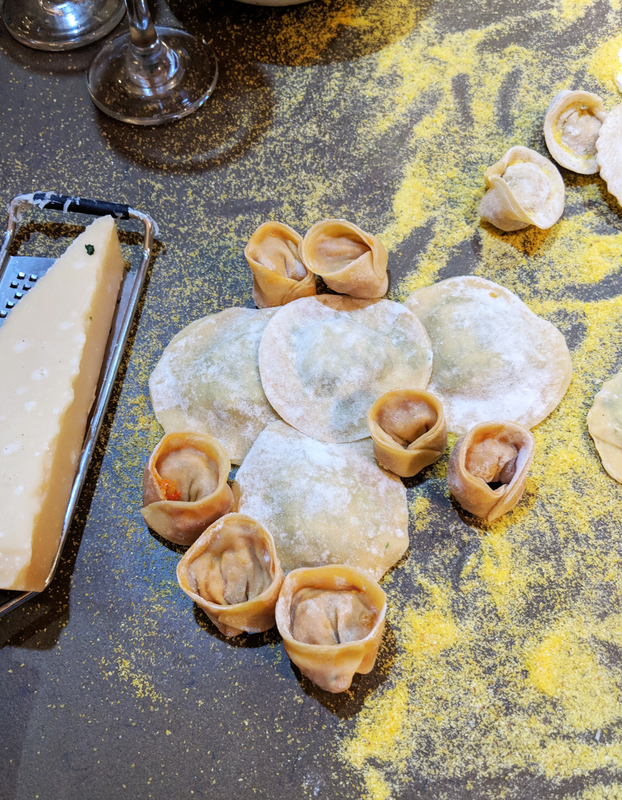 For the ravioli and tortellini, we used a round pastry cutter to cut equal circles of pasta. 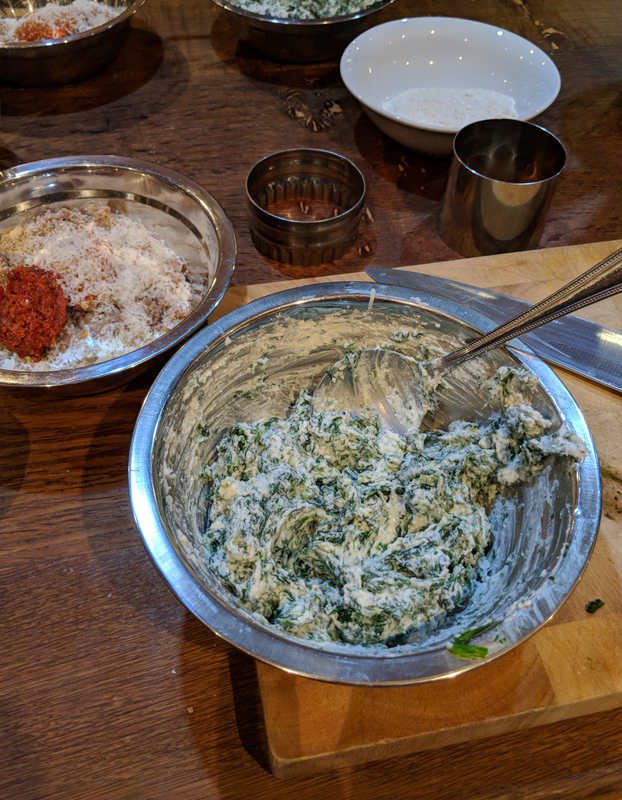 For the ravioli we simply dusted one circle with a little water, added a spoonful of spinach and ricotta and then popped another circle on top. Gently pressing around the circumference, to release any pockets of air and keep the ravioli together. 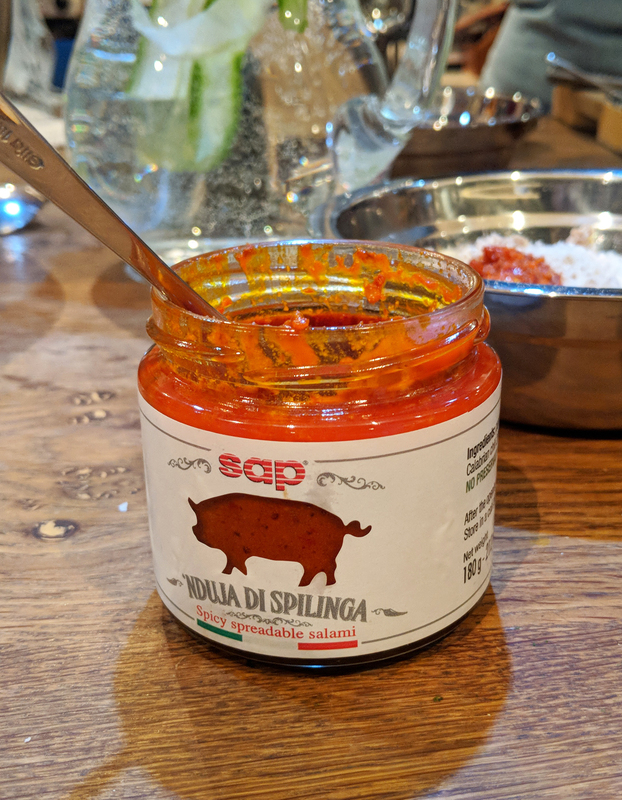 For the tortellini, we brushed a pasta round with water, dropped a little nduja mix in the middle, folded it in half (into a semicircle), gently pressed around the edges and then folded each corner in on itself, with a touch more water to secure the two corners together. (All technical terms haha!). Jon and his team then set about cooking our pasta and producing other wonderful dishes, for us all to feast on. 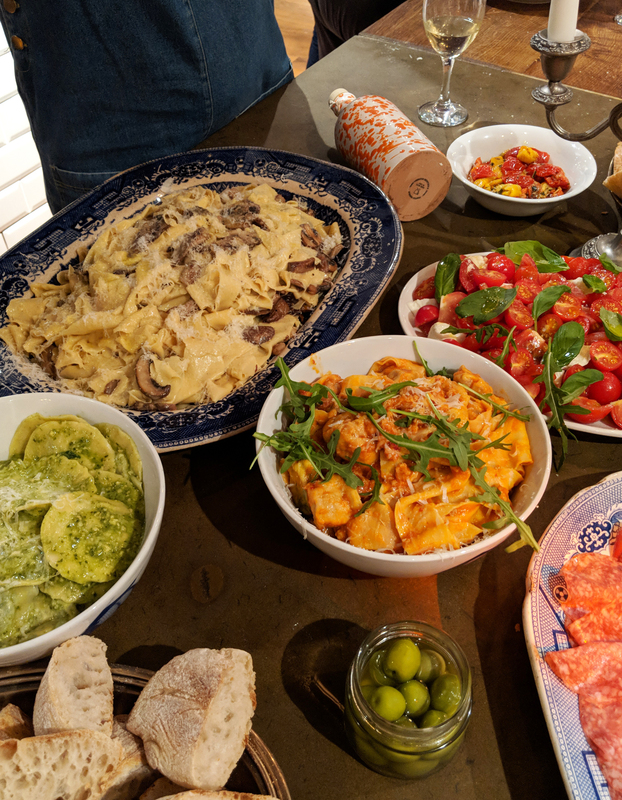 These included charcuterie, Sicilian olives (my favourites), sun-dried tomatoes, artichokes, a mozzarella, tomato and basil salad, and the pièce de résistance – M&S Beetroot & Lemon Ravioli. The beautiful pink colour instantly had us all instagramming, and it tasted even better than it looked. My favourite pasta dish of the evening for sure. Not that our own dishes weren’t great. In fact, everything tasted incredible. To accompany all of the fantastic food and flavours, we enjoyed an Aperol Spritz on arrival, followed by an Italian red sparkling wine. 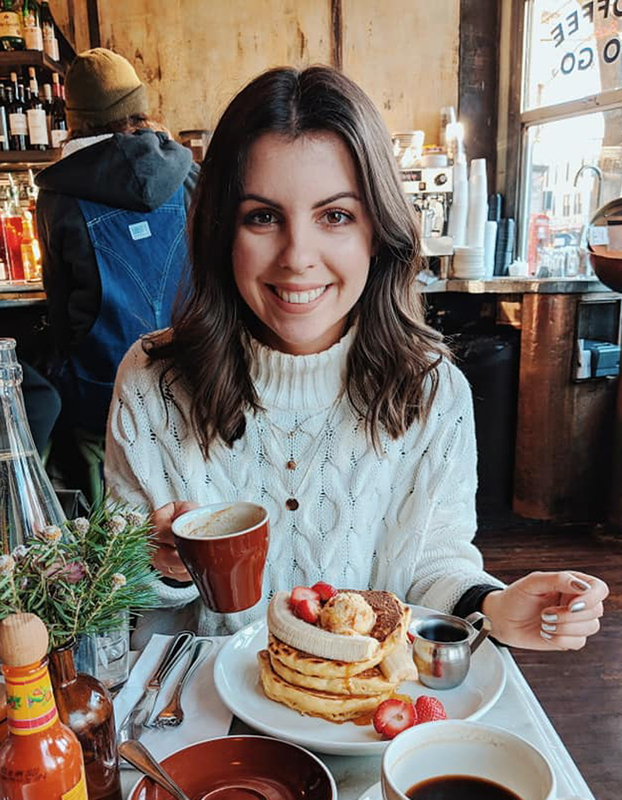 Hands down one of the best food events I’ve been too! 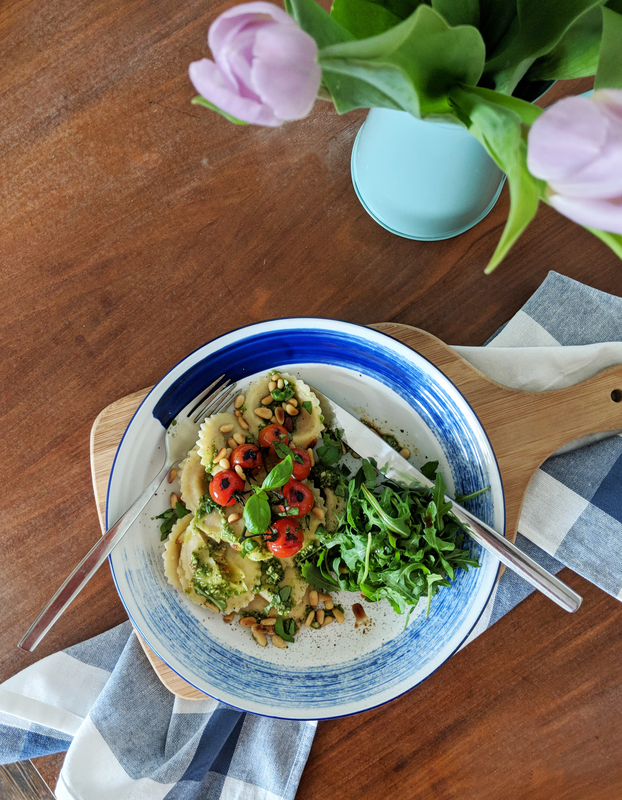 The following weekend, Stew and I used the Girasoli and green pesto to make this tasty dish. 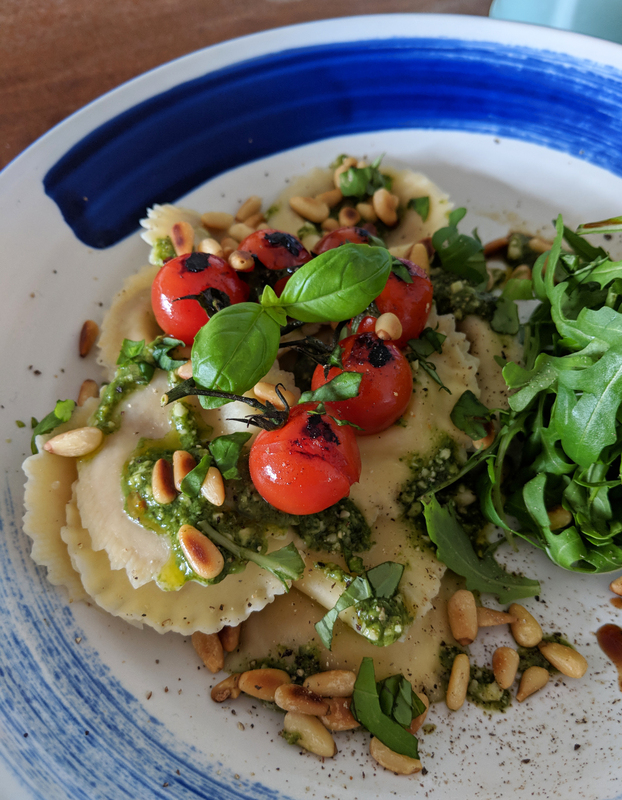 Adding a little rocket, balsamic vinegar, cherry tomatoes, fresh basil and toasted pine nuts… All Marks & Spencer of course! 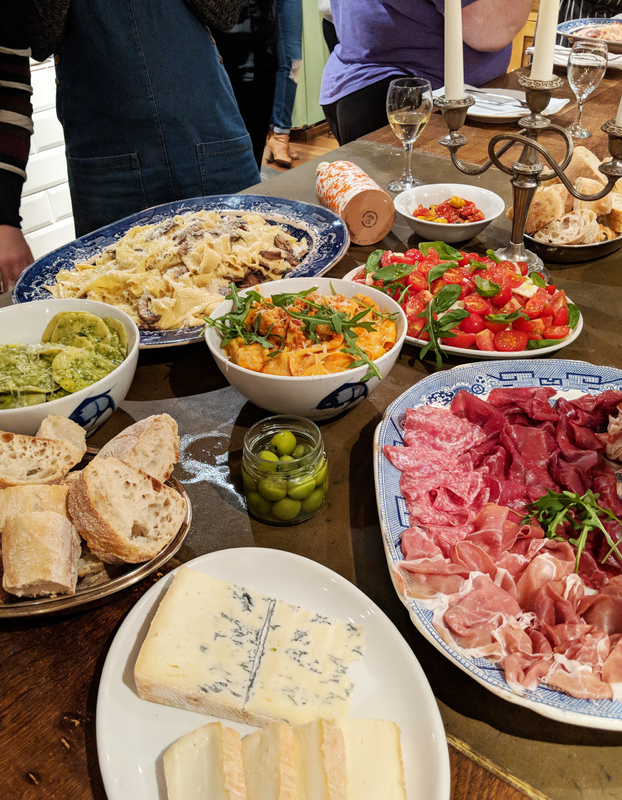 All in all it was a fantastic evening of delicious food, great wine, fantastic company, and now I want to book ALL the Italian holidays!! 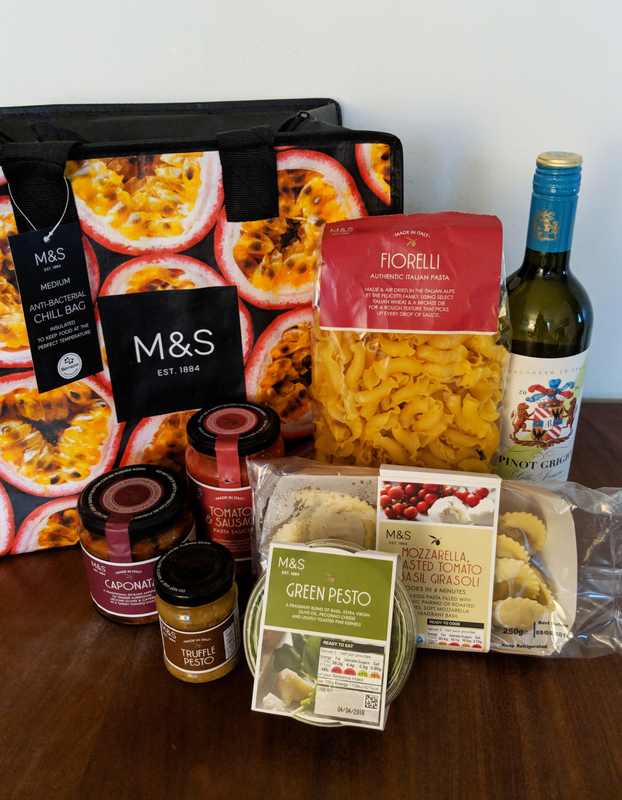 You can find many of these Italian goodies and much more in your local M&S Food.